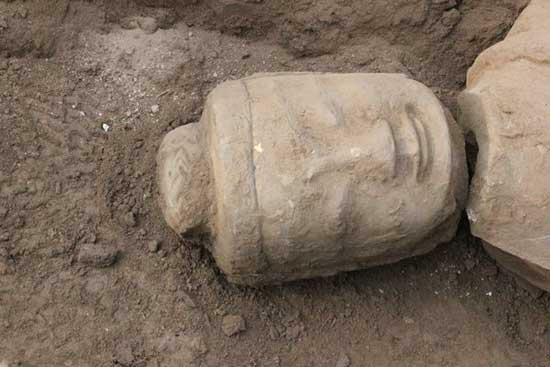 A large number of Buddha statues have been unearthed at a historical site in the northwest of the country. The site is located in Gansu Province alongside the ancient Silk Road. Experts say this excavation could shed new light on Buddhism in the Song Dynasty some seven hundred to a thousand years ago. These Buddhist statues have been underground for up to a thousand years. 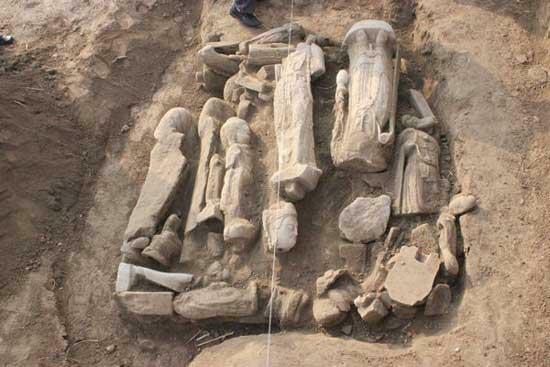 They were found in Jingchuan County in Gansu Province, by the ancient Silk Road. More than 240 of them were found in a cellar. The statues date back to various dynasties in ancient China, with a time span of about 600 years. The oldest one was made in the Northern Dynasties, about a thousand five hundred years ago. But the statues are believed to have been buried hundreds of years later, in the Song Dynasty, which spanned from 960 AD to 1279. Almost every one of the statues is broken. Archaeologist Zhang Junmin said, "It’s a Buddhist convention. When statues of the Buddha were broken, the monks would bury them together, instead of just throwing them away. " Most of the statues have been taken to Jingchuan County museum. Archaeologists have flocked to the site to examine the findings. Archaeologist Wei Wenbin said, "These statues are priceless. Look at this one, the outline is very smooth and beautiful. Such skills could date back to the Northern Dynasties. 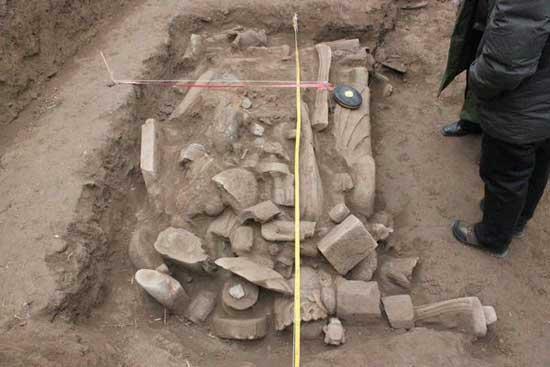 The excavation could shed some light on the development of Buddhism in ancient China." Jingchuan County was a military stronghold in ancient times. It was also one of the centres of Buddhism in Northwest China, which especially flourished in China during the Tang Dynasty, well over a thousand years ago.